Are you thinking about selling your land online? If so, you might be wondering how to compete against all the other sellers out there in the 30024 zip code who are also trying to sell their land online. That’s why we’ve provided 5 creatives ways to sell your land online to help you stand out from the crowd and finally sell it! Selling land has become challenging: there are many people trying to get just a few land buyers to discover THEIR property and buy it. If you’re selling a property, maybe you’re wondering how do you stand out from the crowd effectively? Selling land is different than selling a house, so how do you get people to notice YOUR property instead of someone else’s? That’s where you can get creative to market your property online in an attention-getting way. Here are 5 creative ways to sell your land online. When trying to figure out how to sell my land myself, don’t just rely on links to your property from sites like Craigslist. Instead, set up an inexpensive website that is exclusively about your property and showcase pictures, location, contact information, and price so everyone can see it. Hire someone to take some drone footage of the property. A cheap website will allow you to aggregate all of the information pertaining to the property like questions that you frequently get asked or features that you like to pitch to potential buyers. Now you can drive traffic to this site from sources like social media. Put the power of your network to good use when trying to sell land online for free. Share your land for sale on social media. Tell your friends about your land and ask them to share it with other people. If a few of your friends share, and a few of their friends share, then you can get your land in front of a lot of people quickly. Join Facebook groups that trade, buy, and sell land. You can join other groups that target the audience your land would appeal to. If you have tons of deer on your land and it’s great for hunting, you could promote a link to your website in local hunting groups. The trick here is to not be spammy. It’s a good idea to Message the admin and see what kind of promotions are allowed. To some people, land can be very boring. So make it fun by finding a creative angle to market your land to people. Does your land have a beautiful view? Is it in the shadow of a famous mountain? Did Lewis and Clark walk through it? Find an interesting hook to get people talking about your property. Think of this opportunity like staging for selling a house. You want people to imagine themselves using your property. 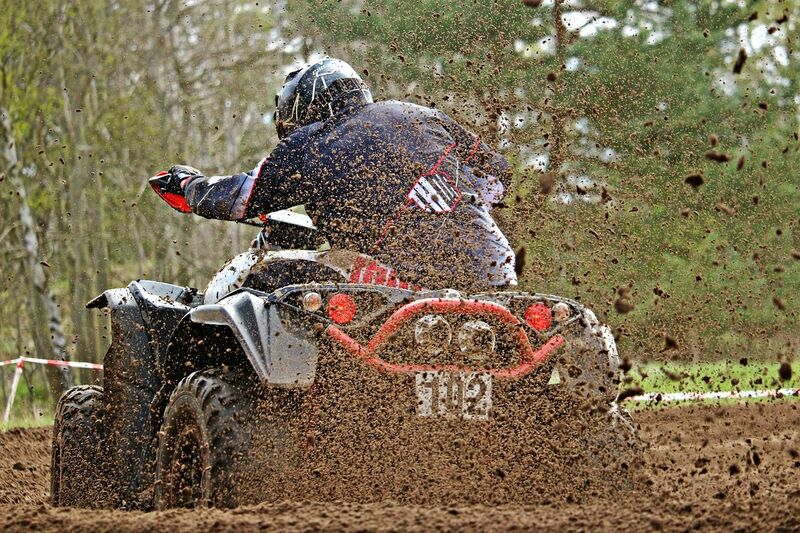 If it’s great for mudding and four-wheeler trails, rent an ATV and video yourself riding in the woods. If it’s great for hunting, buy a cheap blind or borrow a tree stand and emulate hunting for a video. This will target niche audiences that will want your land. Instead of selling land, why not sell a very expensive potato… and throw the land in for free? People might not look twice at a piece of land but a six-figure potato with the free bonus of land is a silly, attention-getting way to get people to buy your land! This plays to the psychology of selling and makes someone think that they are getting more value. If you offer free shipping for a TV and your competitor charges $20, who is selling the TV? Shoot a video and post it on YouTube to show people what your land is like. The video will help them see the land while you describe it. Maybe even put your kids in the video or show people how they might be able to enjoy the property themselves by demonstrating it in the video! Sometimes land can be boring so it’s time to get creative to sell your land. And if that doesn’t work or if you don’t have time to get creative then you can always just sell your land to us at Breyer Home Buyers. We’ll give you a fair cash price right away. To get started, click here and fill out the form or call our office at (770) 744-0724.